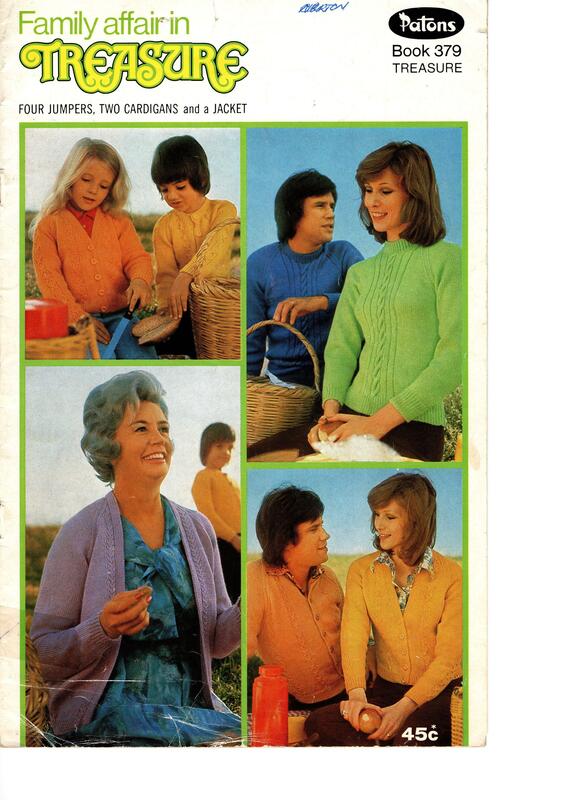 This Patons pattern booklet contains 7 knitting patterns for the family. The designs are intended to be knit with Patons Treasure. 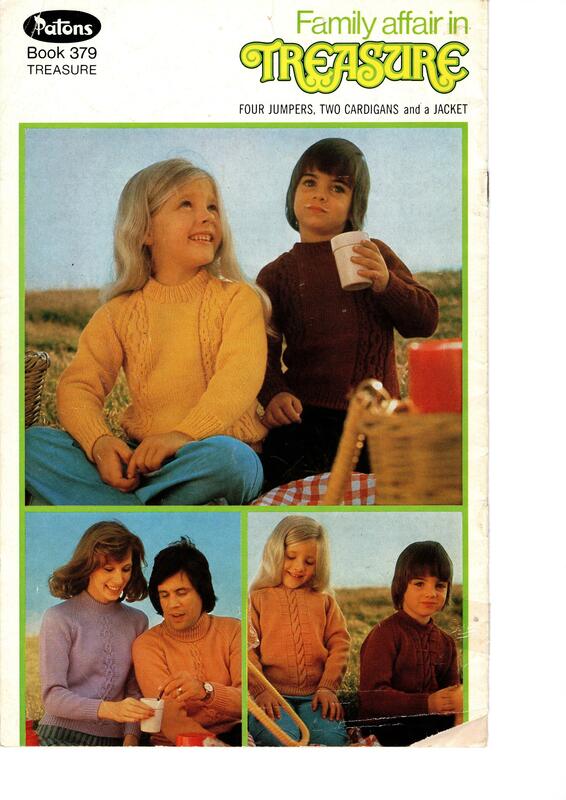 Patterns include four jumpers, two cardigans and a jacket. You will receive the original booklet, which is in good as new condition.